The 2011 Ford Ranger pickup will be debuts at the upcoming Australian International Motor Show in Sydney. 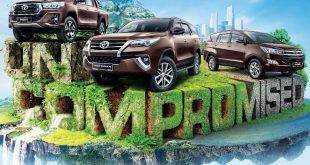 This trendy and handsome pickup will be available in 180 markets with few variants including two-wheel and four-wheel drive options and two ride heights. 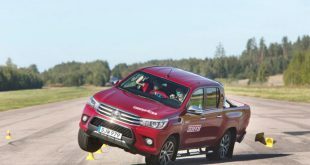 Under the hood, the most potent engine available will be a stout 3.2-liter Duratorq turbocharged five-cylinder diesel with 200 horsepower and 346 lb-ft of twist, though the company says that there will be a choice of a total of three power plant options, including one gasoline engine. Regardless which power plant, Ford is serving up six-speed manual and automatic transmissions. 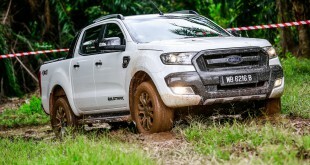 In Malaysia, the New Ford Ranger 2011 is likely equipped with a Duratorq TDCi engine of 150 HP and 277 lb-ft of torque, with four in-line cylinders and a displacement of 2.2-liter. 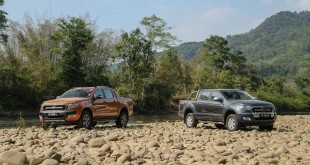 We are foreseeing this all-new Ford Ranger will be reaching our ground in next year. 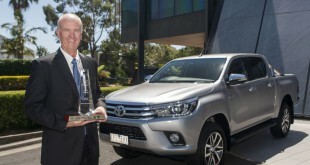 I am sure this new model will give Toyota Hilux, Mitsubishi Triton and Nissan Navara a big run together.